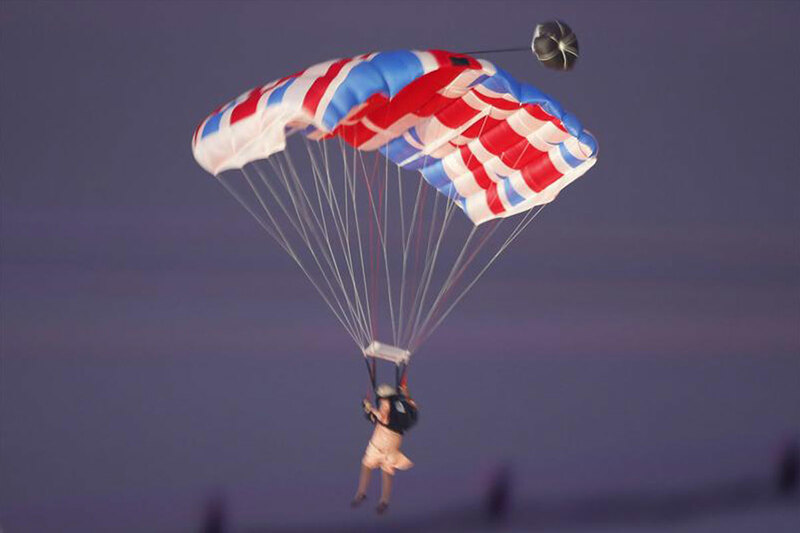 Queen Elizabeth jumping from an helicopter, with James Bond. 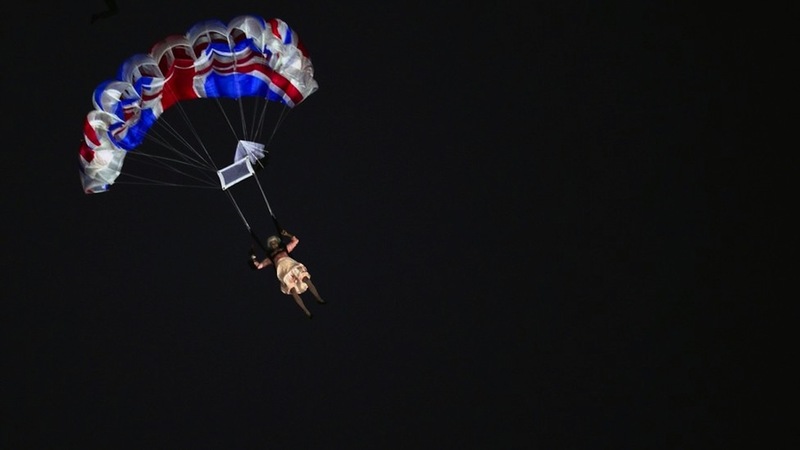 I just love this arrival of Elizabeth II to the 2012 Olympic Games in London. I could not believe my eyes. 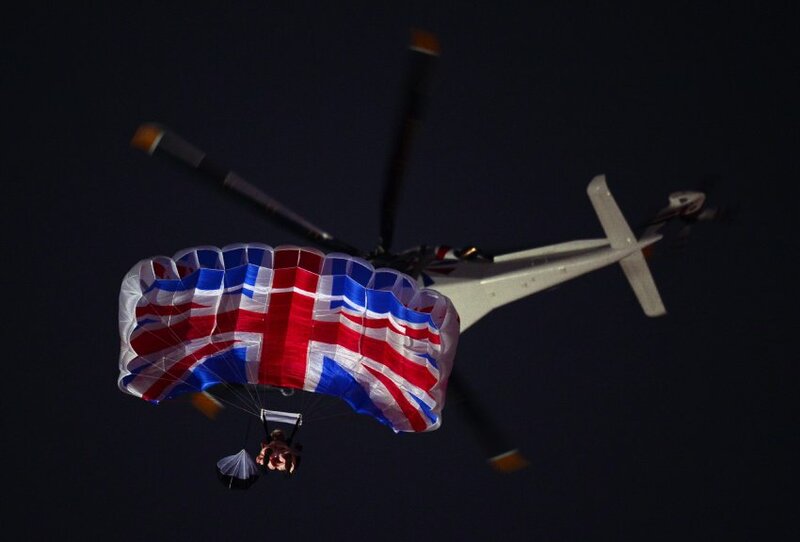 Maybe the Queen did not really jump from that helicopter, however it was really Her Majesty, portraying herself, in the short action movie. A true Bond girl! Ah, ah, that was so enjoyable! I kinda got emotional. And I could not miss to post the movie! If you missed it, enjoy it now: the video is on Vimeo.